The legendary Broadway producer George Abbott once said that Ed Ames’s voice was one of the finest he had heard on the legitimate stage. After success as a member of The Ames Brothers – the multi-platinum vocal quartet and popular TV fixture ­– Ames turned his attention to acting and a solo vocal career. His acting career took off as he landed roles in the Broadway production of One Flew Over the Cuckoo’s Nest, the off-Broadway production of The Fantasticks and the role of “Mingo” in the TV series Daniel Boone. 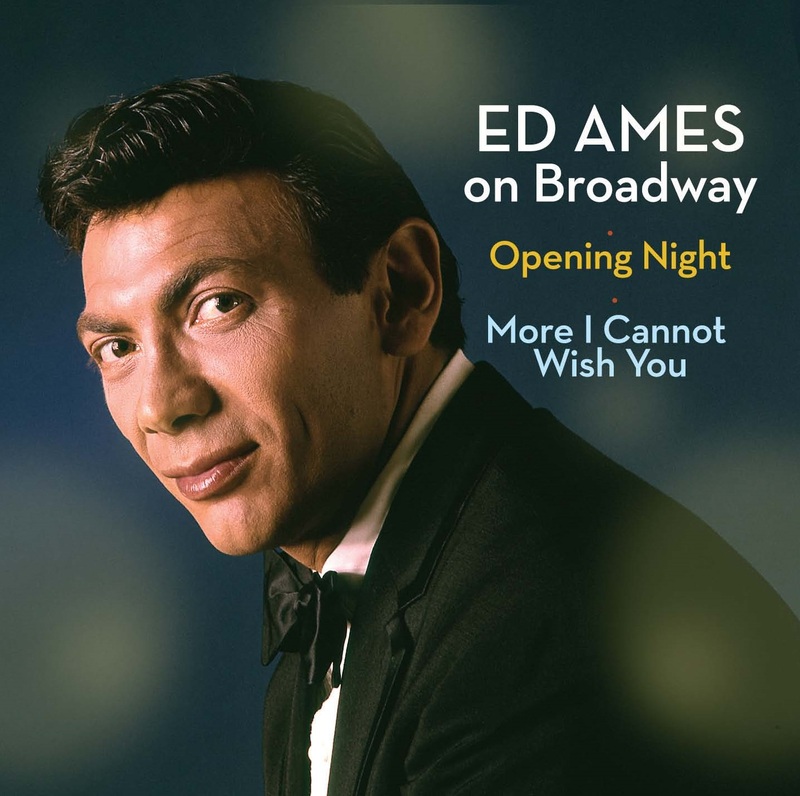 Opening Night, a collection of songs from Broadway musicals recorded in 1964 was his first solo recording and includes “Try to Remember” from The Fantasticks, his first charted single. Several years later, he followed up with the album More I Cannot Wish You, another collection of Broadway favorites that includes “The Impossible Dream” from Man of La Mancha and “Climb Ev’ry Mountain” from The Sound of Music.